This is not so much news or even a tutorial however its worth sharing. Recently we were in a 3-day Microsoft SharePoint Online Course to 5 Delegates from the same organisation. They have all been using Office 365 and SharePoint for a while but not really with any guidance or formal training. We were covering all the basics like Architecture and the various options they have available, List and Library Apps with their numerous configurations and also Permissions to name but a few topics that were covered. However, it was their reaction to seeing Microsoft Flow for the first time and seeing some of the capabilities it can offer straight out the box which we just had to share and speak about because many clients have all had the same excitement. No longer do we need to have separate products, disjointed collaboration and communication on processes and huge overhead costs for multiple solutions which can involve training and support contracts to name but a few common themes. 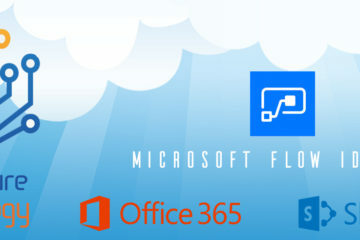 Microsoft Flow is now enabling customers to connect to various amount of data sources including SharePoint, Oracle, SQL, Google Docs, Drop Box, One Drive, Service Now, Salesforce… the list can go on and on and allowing us to use flow triggers for these connections to start our processes but then end up in SharePoint by creating list items like tasks or issue tracking or sending emails using outlook with buttons and approval. Flow is now opening the possibilities to streamline a lot of those daily tasks which are just too time consuming or manual driven. 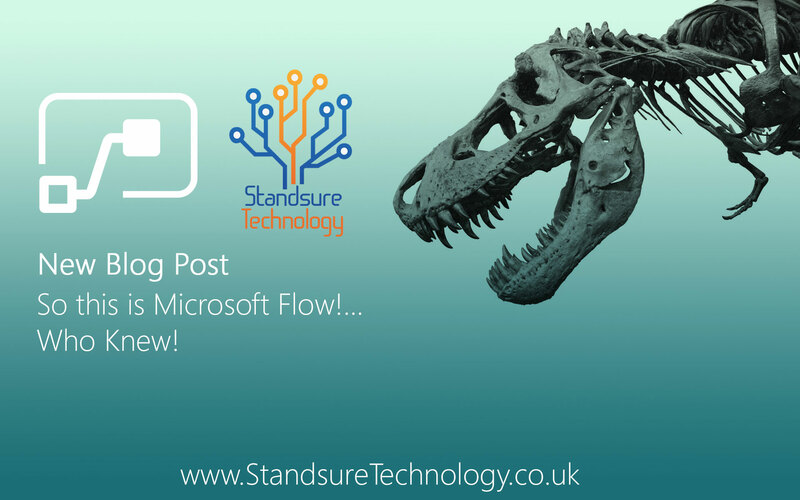 One of my favourite comments was about how some of their staff still use Excel spreadsheets and found it difficult to migrate to SharePoint Lists as they were “OLD NON-TECHY DINOSAURS“…! (which made us smile), but when shown the power of Flow they could now think about using Microsoft Flow with the Excel Connection and they could now store that Excel in the cloud (SharePoint) for better collaboration and sharing but also send the staff their jobs from a central SharePoint List which they manage the job allocation and once allocated flow would then inserts a row in that excel spreadsheet for each of the staff members who need this when they are out traveling the country. it might sound simple but the excitement of something that can be made to be as simple as it should be in the first place along with the thought of removing a huge manual job from a users weekly workload and hours of wasted time doing so then opens up the possibilities of being more productive in other ares of their business was a priceless moment we had to share and to witness in the training room was special. 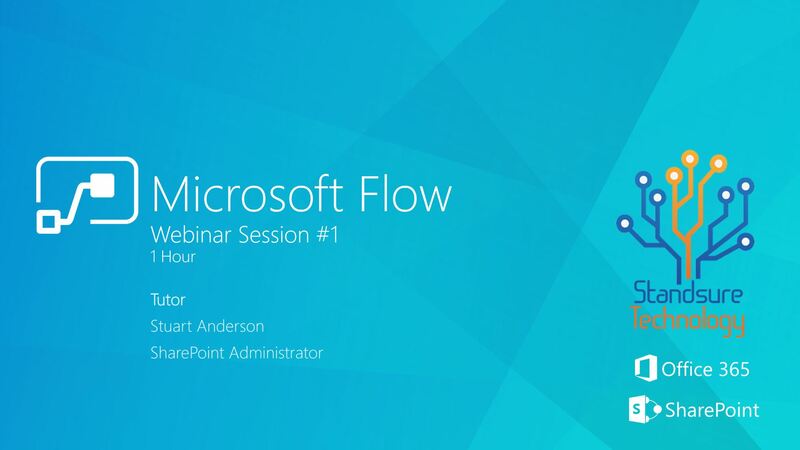 If you want to speak to a specialist, book some 1 to 1 consultancy time or individual or group training for the use of Microsoft Flow and how it could benefit you and your organisation dont hesitate to give us an email to arrange a call.